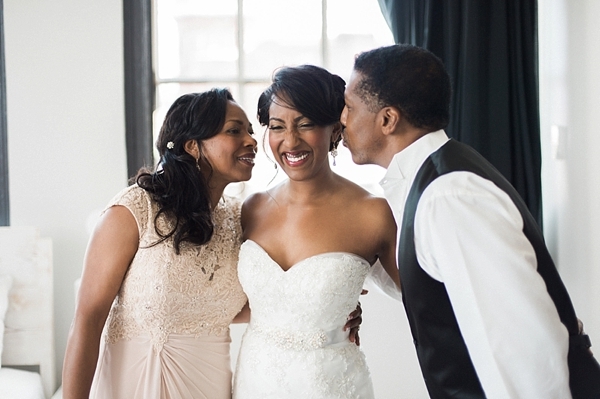 After moving to Richmond, Jessica was focused on her career and the cultural experience that Virginia's capital has to offer. 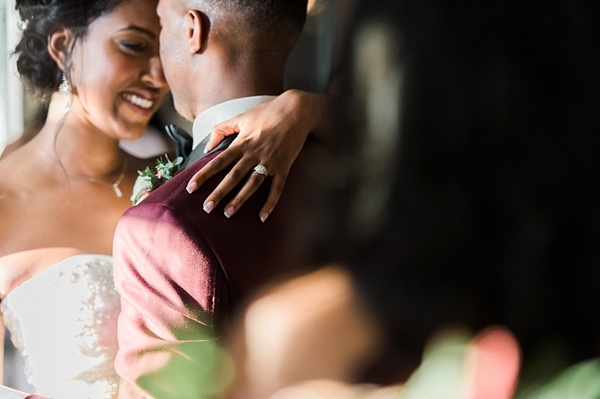 But little did she know, a story was being written the very first moment she met Evan in their apartment building's common area. 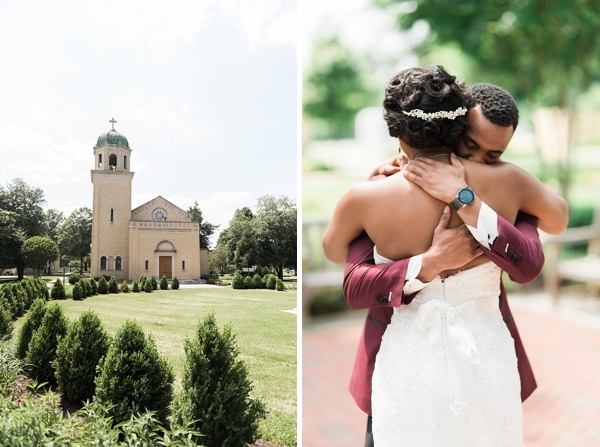 One conversation led to another, and they had their first date while walking downtown along the canal and to the Capitol building. 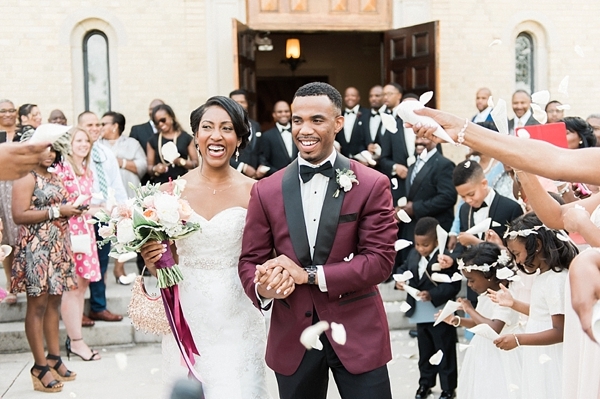 After dating for a year and a half, Evan recreated that special first date and proposed on the historic steps. 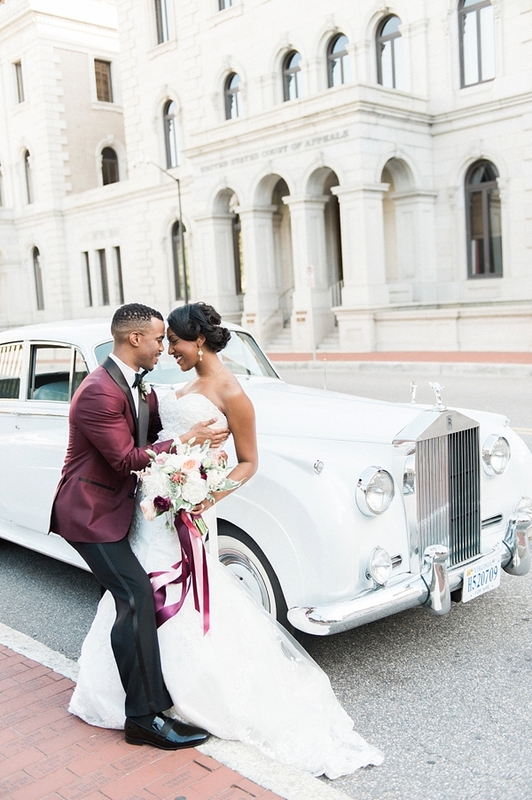 When planning their wedding, it was without question that the two lovebirds would have a Richmond-inspired celebration since the city had been so integral in their relationship, and they wanted to share a taste of that with their closest loved ones. 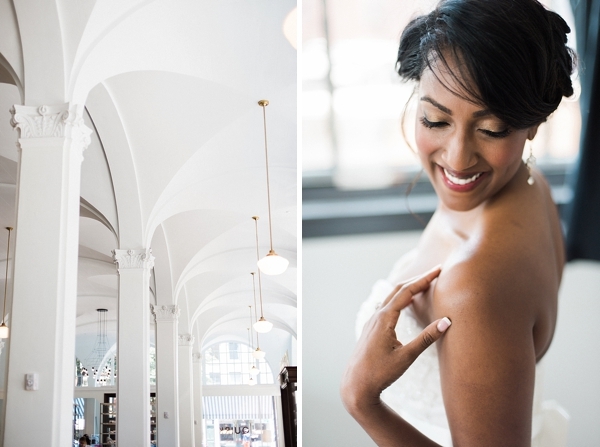 Envisioning an urban, modern, and romantic day, Jessica and Evan enlisted the help of his sister to make reality a burgundy red, blush, and champagne wedding dream all over the city: Quirk Hotel for getting ready, St. Joseph's Villa (a former orphanage turned nonprofit dedicated to helping youth) for the ceremony, and Boathouse at Rocketts Landing for the reception. 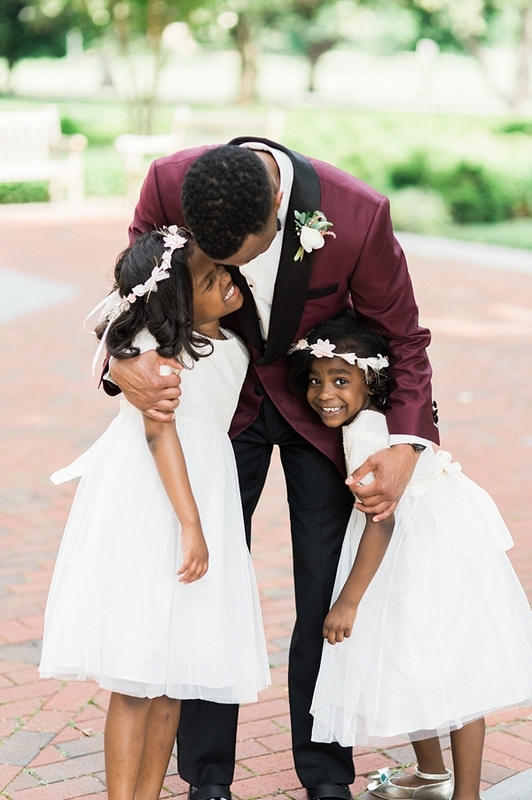 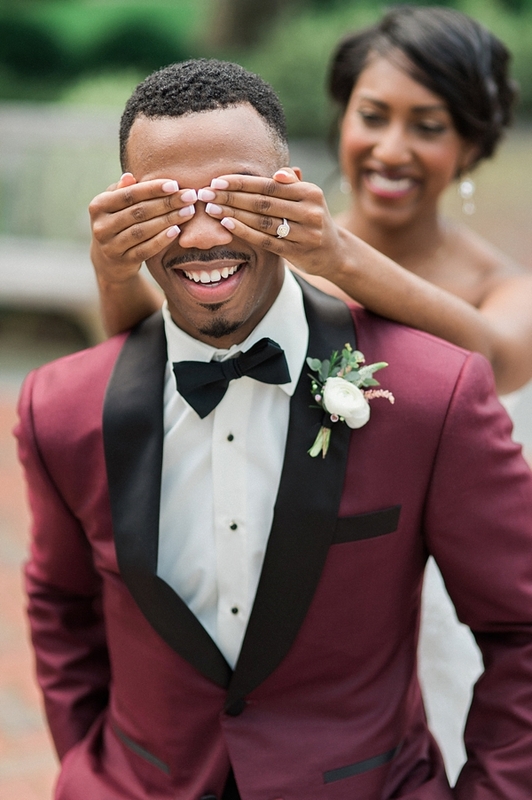 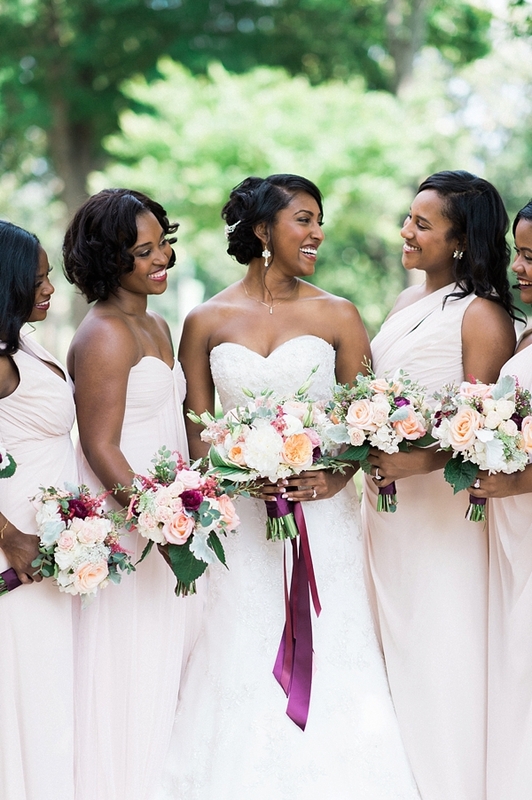 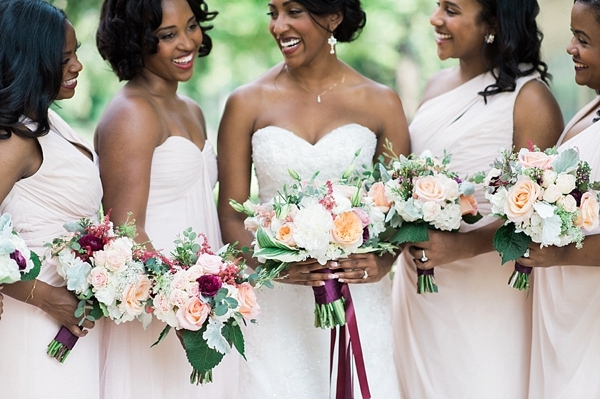 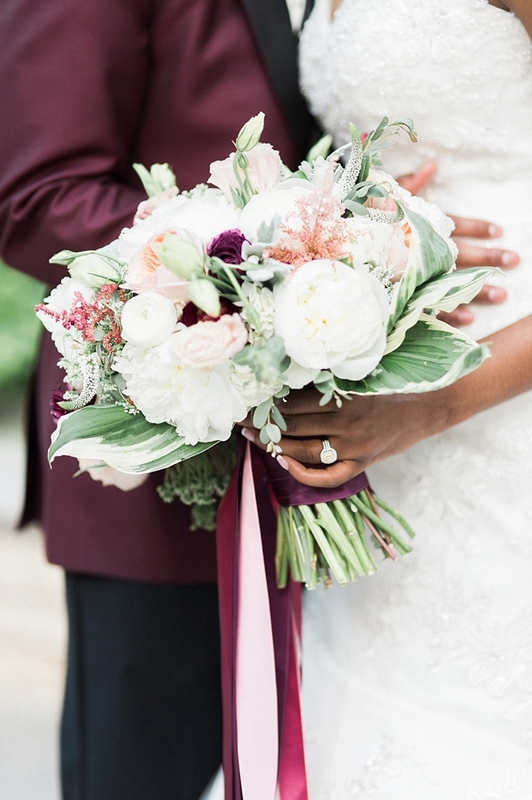 Captured by Shannon Moffit Photography, the groom in his stylish custom burgundy tuxedo and the bride in her classic ivory lace gown were surrounded by chic bridesmaids in pink and dapper groomsmen in black. 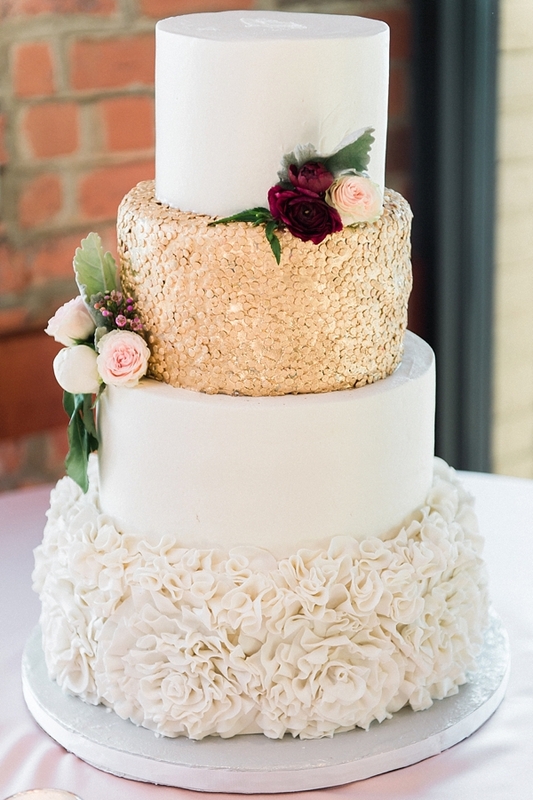 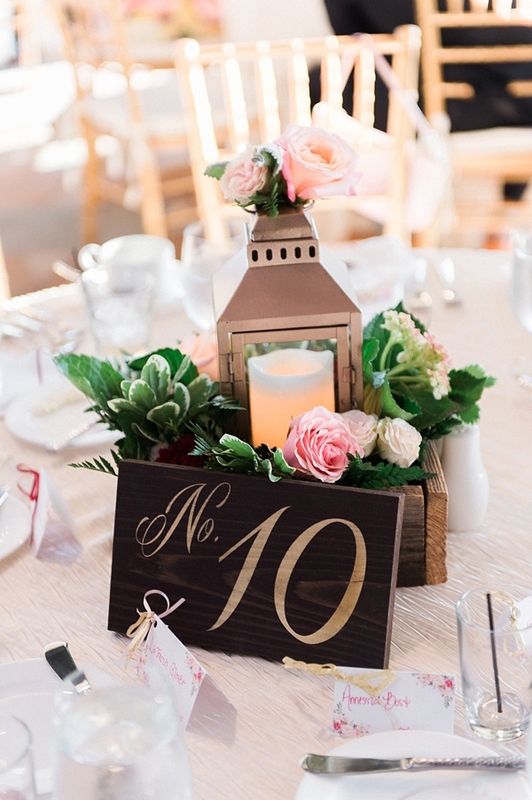 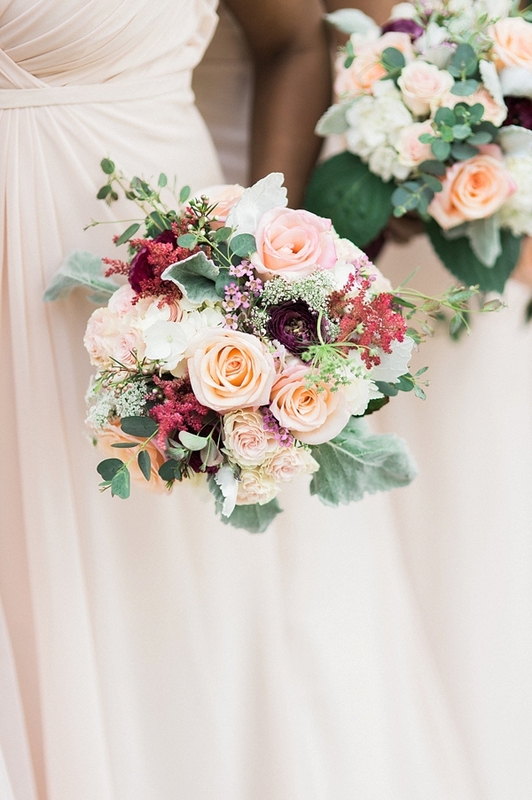 Wine-colored ranunculus, peach roses, and pink spray roses set the scene around golden lanterns, wooden box centerpieces, and a gilded, ruffled wedding cake. 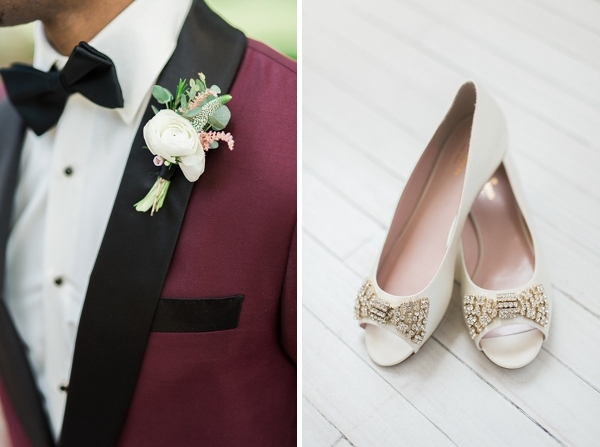 Basically it's all swoon for days! 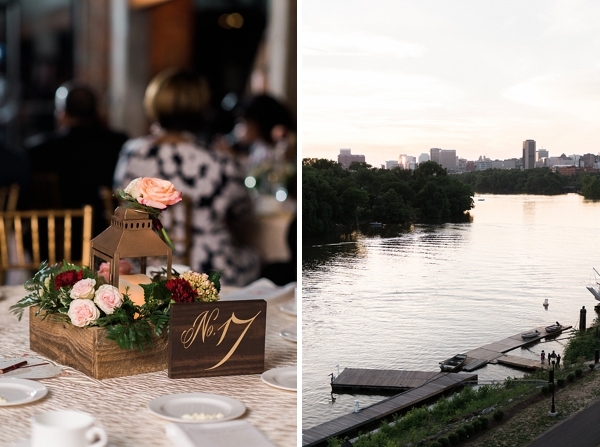 We especially loved the joy-filled smiles from everyone in attendance, the classic Rolls Royce getaway car, and the sunset views of the James River.